We have some new footage on a game that really impressed us recently. This new Starlink Battle for Atlas story trailer arrives as the game nears launch for PS4, Xbox One and Nintendo Switch. To go with the story trailer there is a nice overview of how Starlink Battle for Atlas works below. Plus, some official info on the features too. Don’t forget to Share This while you check it all out! The following Starlink details are official features of the game. 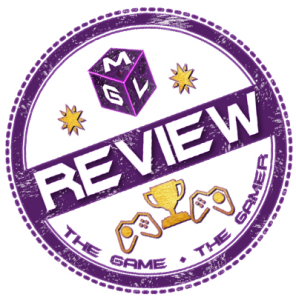 You should be able to see what we made of this one first-hand on MGL later this week. EXPLORE AN OPEN LIVING STAR SYSTEM – Travel seamlessly through the exotic alien worlds of the Atlas star system and discover its seven planets, each with their own ecosystem, wildlife and secrets to uncover. Ally with the factions in Atlas to push pack the dynamic enemy threat of the Forgotten Legion whose goal is to take over Atlas. BUILD & CUSTOMIZE THE STARSHIP OF YOUR DREAMS – Craft your own Starship loadout from your arsenal of wings, hulls, weapons, and pilots. Plug your modular toys to your controller mount and see them come to life in game instantly. Experiment with your loadout in real-time as you play. Get creative in combat, unleash devastating elemental combos to strategically overcome whatever you encounter in the Atlas star system. TWO PLAYER COUCH CO-OP – Invite a friend to join the campaign seamlessly at any time with two-player split-screen local co-op. Combine different loadouts for the ultimate in teamwork to save Atlas together. TEAM STAR FOX JOINS THE BATTLE EXCLUSIVELY ON NINTENDO SWITCH – Play as the adventurous Fox McCloud. Pilot the iconic Arwing equipped with laser cannons, and complete exclusive new missions featuring some familiar Star Fox faces.